The growing need to boost rural economic activity through agricultural development has re-introduced the discussion on the subdivision of land to create as many small farms as possible that will benefit communities. Some agricultural economists (myself included) have been sceptical of this idea due to potential viability of small farms when viewed from a land size perspective only. In 1970, a law was put in place to prevent the subdivision of farms along family lines without the consent of the Minister. At the time, family farms were being subdivided so that all of the farmers’ children could inherent a portion of their family farm. However, the Government of the time was concerned that this may create a network of farms that are not economically viable. Viability was adjudged to be the income potential equivalent to that of an average civil servant. Farms that were too small to produce this income was deemed economically unviable. In the recent weeks, this has brought to the public discourse a debate, which for a long time has largely been confined to academic corridors – what should be regarded as a ‘viable’ income from a farming business and what is a small-scale farmer? In this respect, an article published in Agrekon Journal in 1998 by agricultural economists Professors Johann Kirsten and Johan van Zyl is illuminating. I will draw from it to address this issue. 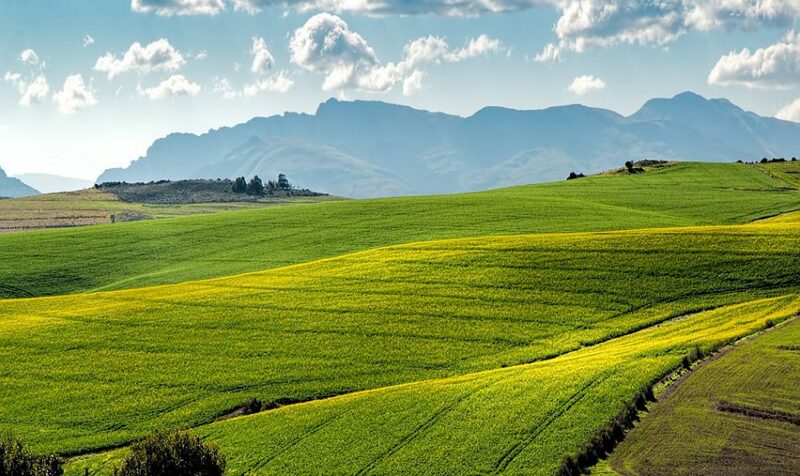 To lay a foundation from a South African perspective, the fact that we do not have a strong small-farming sector contributes to the scepticism and confusion about small-scale farming. Hence, some people (even its proponents at times) equate small farmers to the farmers in the former homelands farming on one hectare of dryland or less. This is not a small farm. Size is not a good criterion for defining small farms. For example, one hectare of irrigated peri-urban land, suitable for vegetable farming or herb gardening, has a higher profit potential than 500 hectares of low-quality land in the Karoo. Turnover, or rather the level of net farm income, determine the farm size category, not the land size. This is why the AgriBEE Sector code defines exempted micro, qualifying small and large enterprises according to their turn-over, and not according to the physical size of the farm. Also worth noting is that roughly 45% of all commercial farms in South Africa are small-scale family farms, with a gross farm income of less than R500 000, hardly making a full-time livelihood. This is according to data from Statistics South Africa. Therefore, a small farm is a relative concept–relative to the particular ecological region and soil quality and also relative to the particular farming industry. It should also be emphasised that small-scale farms are not simply scaled-down models of large farms since technology and cultural issues and the livelihood mix might differ. These are some of the issues that the proponents of small-scale farming need to consider in their arguments of subdividing farms into small units while remaining silent on the ecological and agrarian realities of this country. To close, I should highlight that citing Asian countries as an example of successful small “size/scale” farms that South Africa should emulate is a bit disingenuous, given the superior climatic conditions and soil quality of those countries. South Africa is a semi-arid country, folks!